A few years ago on this blog, I started a Skill of the Month Club that focused on a new skill to learn each month. I posted an article or two about that skill and encouraged readers to try something new. Now, in 2015, I believe it’s more important than ever to get our homes, families, and selves at a point where we are more self-reliant. A big part of being self-reliant is having a bank of skills and knowledge from which to draw. When your child has a sore throat, knowing multiple natural remedies comes in handy, and may eliminate the need to head to the doctor or the drug store. Living on very little money, yet knowing how to knit, crochet, and sew, allows you to provide new, handmade clothing items for your loved ones and, perhaps, open the door to a source of income. And how about being able to make your own household cleaners with super-cheap ingredients, shunning store-bought foods because you know how to make homemade versions that are far better and healthier? This is just a sampling of how learning new skills can make you more self-reliant and, at the same time, able to live more frugally and more healthy. Well, our new Skill of the Month Club is riding to the rescue to give you a boost throughout each month so you can learn these skills and much more. The first level of the Club is what we’ll provide here on the blog, new articles and resources every month, focusing on a new skill. We’ll provide a round up of the best Pinterest pins for that skill, to give you even more sources for learning. 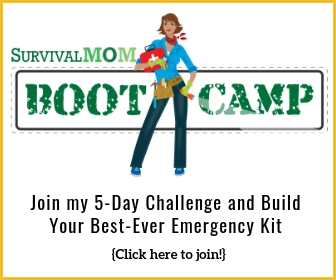 The second level, and this is what I am completely giddy about, and believe me, The Survival Mom is giddy about very few things in this world, is our membership website for The Skill of the Month Club. Perhaps, for you, just being steered in the direction of a new skill, with a few articles and resources, is all you need. You tend to stay on track until a task is completed. Good for you! We’re ready for you with Skill of the Month articles on the blog. You’ll find 2 or 3 of them every month. But a lot of us, me included, need a bit more. We need a community to help us stay motivated, a place to ask questions, and more detailed information. We might do best with a tiny bit of accountability. That will be provided with your membership to The Skill of the Month Club. Baby steps if you’re new to the skill and Challenges if you’re ready to go for a more advanced level. 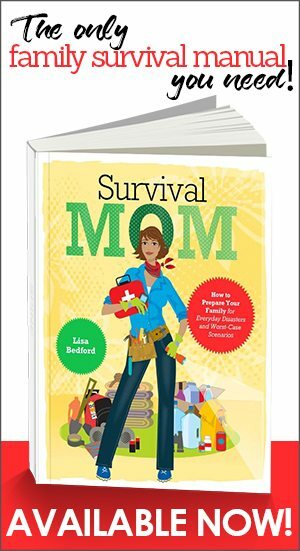 Free ebooks with resources, links, and a lot more. Newsletter boosters to give you a single, important tip each week for the Skill of the Month. Exclusive giveaways, just for members! A private Facebook group where you can mix, mingle, and share information with other members. I’ll soon be offering a pre-launch, one-year membership to this club, so be watching for it. I can promise you that the pre-launch price will be about equal to just 2 or 3 dinners out, and will be well worth the money! 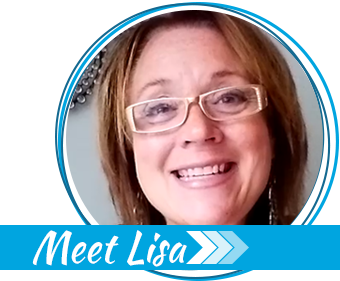 Plus, you’ll have access to all this great stuff, 24/7 and can move through it at your own pace and refer back to favorite articles, videos, podcats, and webinars as needed. Even as I write this, we are busily putting into place details for this new website. So what is the January Skill of the Month? Yeah, I thought you might like to know! After a lot of thought and discussion, I realized that in order to add something new to your life, you have to get rid of something else to clear the way. In most cases, that’s literally! Before you can focus your time and attention on something new, learning some time management strategies, such as a master family calendar and cleaning out cupboards and drawers, and general decluttering really needs to happen. 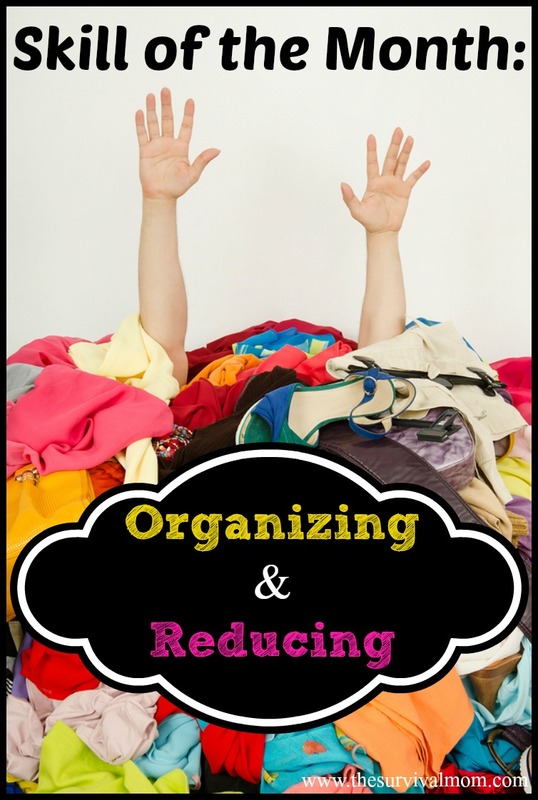 So our first Skill is… Getting Organized and Reducing What You Own. Here’s the great news about this first skill. Everything we have scheduled for it will be available to every reader, free and forever! That includes an upcoming webinar with Taylor Flanery of Home Storage Solutions 101. She’ll be sharing her best tips for decluttering. I’ll be adding a couple of videos showing you how I manage to keep the horizontal surfaces in my home looking tidy and organized. Shortly, we’ll have a free eguide available with dozens of resources to help you on your journey. I know from personal experience what a difference it makes when your home, life, and brain are decluttered. This is why I wanted the January Skill of the Month to be open to everyone, throughout the year. The membership site will launch in early February — keeping my fingers crossed. Creating a new website is like building a new house. There are almost always unforeseen glitches and delays, but we are well on our way to having something very special for our members. Battling the household Clutter Monster and managing your time, using January resources, will be a continuing task, but here’s what we have for you to look forward to in coming months. We’ll share recipes for homemade spice mixes and other foods, cleaning solutions and even cosmetics! Our special webinar guest is Adrienne Urban of Whole New Mom, who is an expert in this field. March Skill of the Month: Learn a New Handcraft — Knit, Crochet, Sew! We’re rounding up the best resources for beginners and experts alike! Watch for webinars with gardening expert Mike Podlesny, Mike the Gardener and with Marjorie Wildcraft of Grow Your Own Groceries. I might even be able to get a hydroponics expert to join us for a Q&A session! May Skill of the Month: Get Your Prep On! 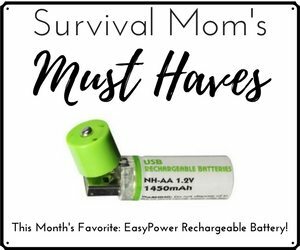 You may be well-prepared for emergencies, but this is the month to take on one or two new prepping challenges! And, be ready for webinars and Q&A sessions with survival and prepping experts! I hope all this gets you as excited about the Skill of the Month Club as I am. I’ll have that special pre-launch price for you in another few days. In the meantime, watch for upcoming articles about planning meals and decluttering your home. This sounds exciting. In the last couple of days I’ve attacked my closet, the laundry room and the video cabnit. Looking forward to all that’s coming. Sounds like a great plan! I am a teacher and I used my snow days to organize and clean house. Today my sons and I each cleaned out bedrooms–picked up stuff, dusted, vacuumed and washed bedding. I expect another snow day tomorrow so we will clean out our closets. Last time we did closets was last January’s snow day, so I am sure there is more to purge. Our students don’t even know we look forward to snow days (almost) as much as they do, huh?! I use a snow day to rotate stored water and check expiration dates of food items that aren’t in regular rotation. I use a day of summer break to do the same. We’ve recently started loading up the children’s “purge piles” and having them help deliver unwanted clothes and toys to our local shelter for women and children. It has been really satisfying to see how much my kids get out of being part of that process, rather than just letting me drop things off.